Tickets are a good way of keeping track of how many people are attending your event. 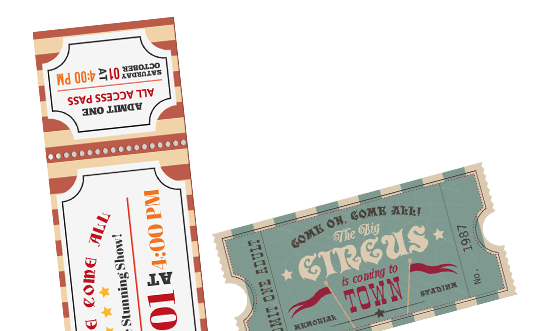 Whether you want tickets for a school play, a charity raffle, or even a themed family party, ABC Marketing can make professional tickets to suit every one of your needs. Whether you want a standard layout, a custom design, or have your own print-ready images, all your perforation, color, and numbering needs will be handled by us with expertise and care.